Cutting-edge custom opposition and player value analysis based on our advanced statistics - our analysts run the numbers for you and give you back insights. Read more about our product here, visit our "try it" area here to use a demo version or click here to schedule an online demo. 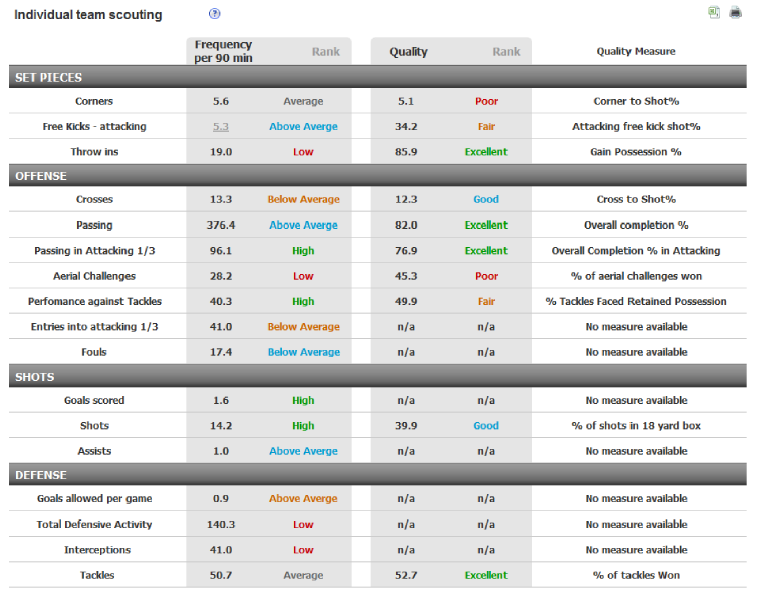 We index every touch of the ball for every player on your team and the opposition. Video is searchable by all major events such as set pieces,attacking possessions, shots, saves, opposition attacking possessions, shots conceded and goals conceded (over 75 different event types). You can make notes, save clip lists, share clip lists with players and coaches, and use the service on any internet connected computer, iPad or iPhone. For every league match you get a 25-page printable PDF match analysis that includes all the key stats and visual map reports at both the team and player level. Nearly 50 statistical reports at the team and player level that can be filtered by player position, field zone, team and for any set of games you wish. Season long map views are included with every report. 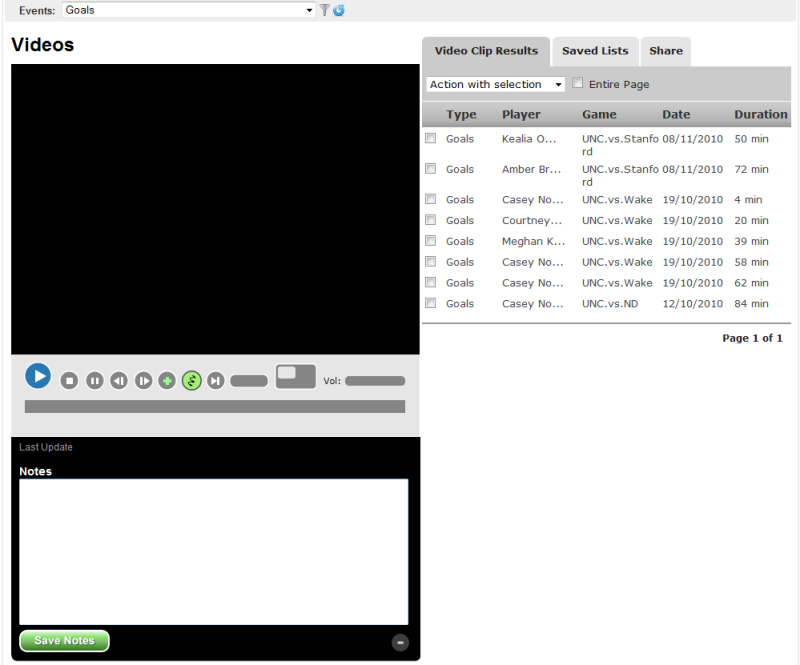 Click on any number from any report and you can see the video clips that underlie the number. Our data includes dozens of useful statistics that none of our competitors have, like % of crosses that result in a shot or goal, player performance when facing tackles and performance in aerial challenges. A quick summary of how a player or teams rate in terms of frequency and quality of major events such as passing, crossing, set pieces. 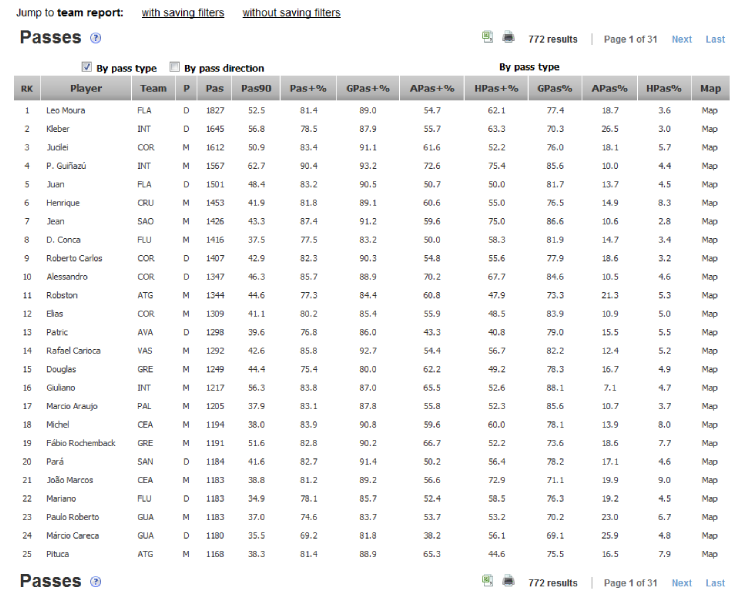 Players are compared to players at the same position, while teams are ranked against the rest of teams in a league. You can click on any number from this report and see videos of the underlying events. 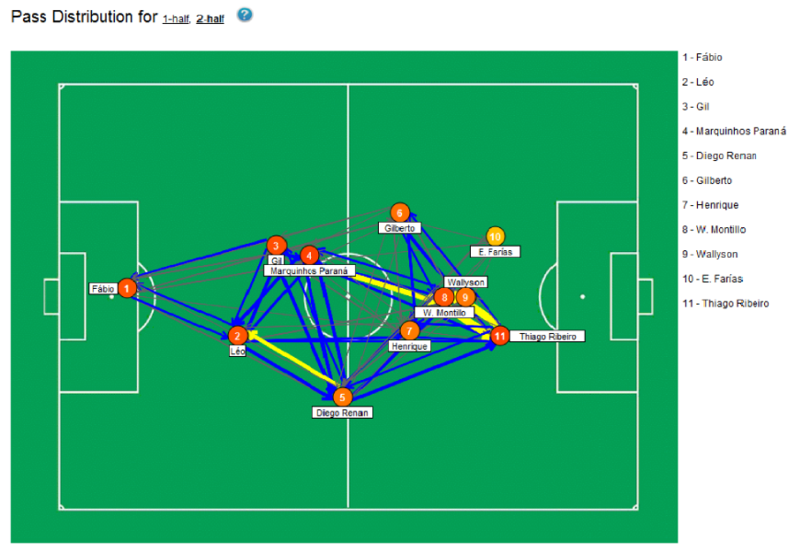 Choose any 1 or 2 data items from any report and graph them for a series of games for a set of teams or players. StatDNA brings you the world's most advanced analytics based on an incredibly rich set of match data that takes over 25 hours to collect for each game. We've applied advanced analytical techniques to this data to accurately evaluate the contribution to scoring and conceding goals for each and every player in the league. 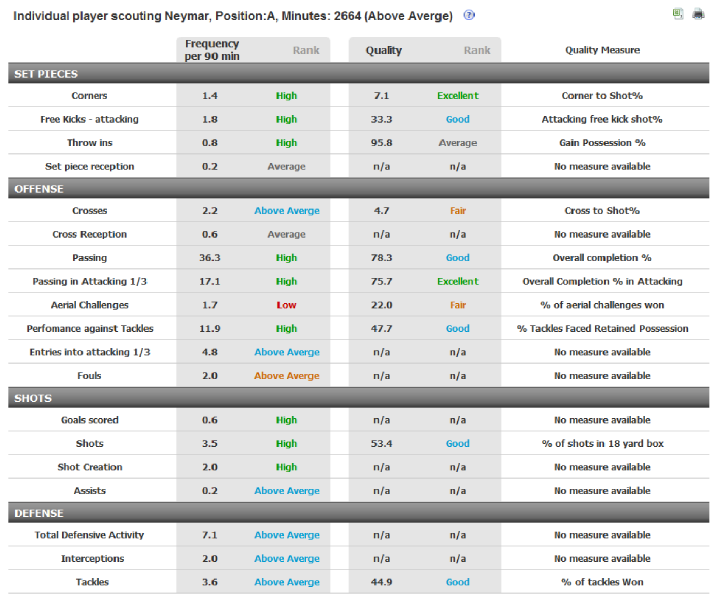 Further than that, we can disaggregate data to understand which areas players excel at (e.g. finishing) and where they are losing value (e.g. facing tackles). Since we know or data better than anyone, we can do the analysis for you and deliver you insights that help you understand your opponents better. We can also use our advanced statistics to help you better assess the value of possible transfer candidates and chose the right one.